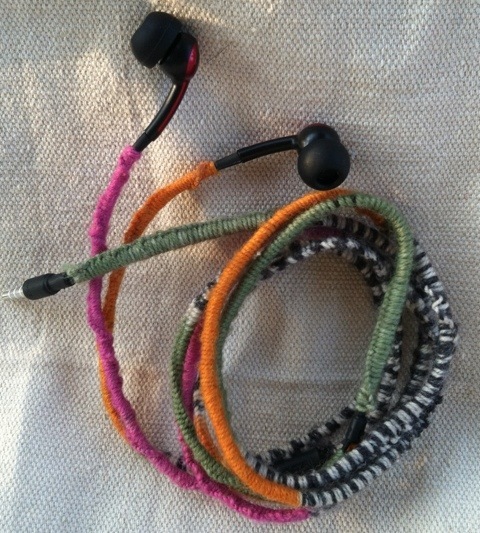 I have seen the friendship bracelet style wrapped headphones and thought cute but what is the point? Then as I was untangling my headphones for the umpteenth time I got it. I lack the patience for friendship bracelets and the skinny embroidery threads so that idea was out. But hey what a great way to use up my leftover sock yarn! 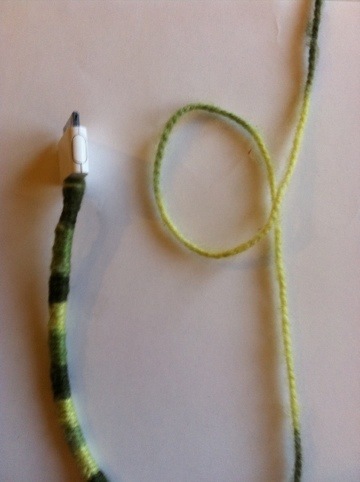 My technique is a knitting cast on method – the backward loop cast on. 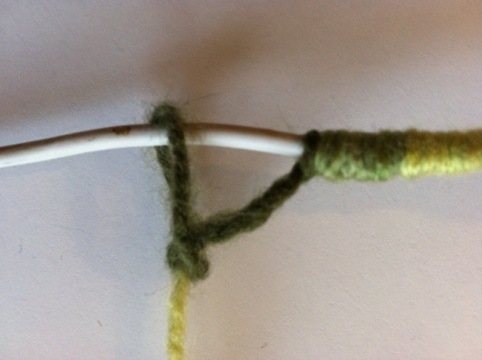 Just make a backwards letter ‘p’ with the yarn, slide the loop over the cord and tighten it up. 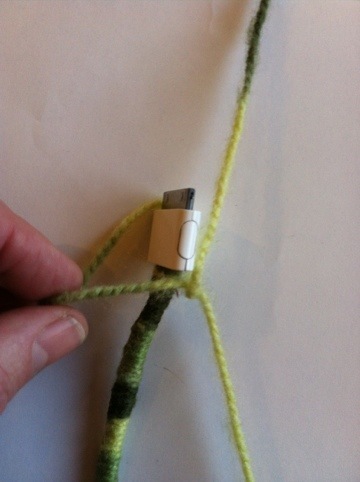 Repeat until the cord is covered – then a knot with a drop of glue holds it tight. Added benefits- no confusing my headphones with anyone else’s. Tangling is minimized. The cord is protected. It gave me something to do while watching TV with my husband. 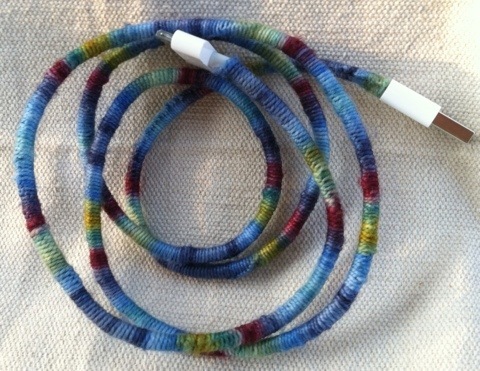 I got a little carried away and did my charger cords too! She does it again !!! Love this one, Jess.